I’ll just say it now — it wasn’t the type of tear-jerking scene that I had expected but I was shedding some tears by the end of the episode. 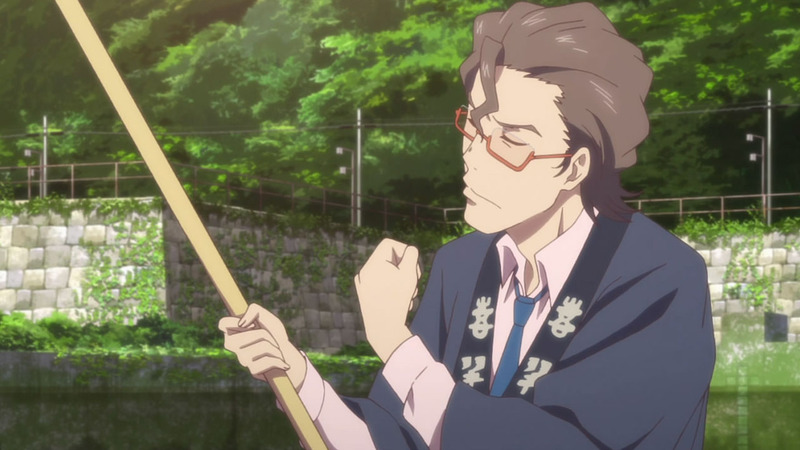 Continue Reading "Hanasaku Iroha – 26 (END)"
That slap to the face couldn’t have come any sooner. Continue Reading "Hanasaku Iroha – 25"
Even when given the opportunity to resolve all the problems in the world, I’m baffled by how Ohana didn’t utilize the almost perfect chance she was given to reveal everything she had to offer to Ko. She even went as far as covering his mouth to prevent him from uttering those three simple words — only to give up right at the last moment! 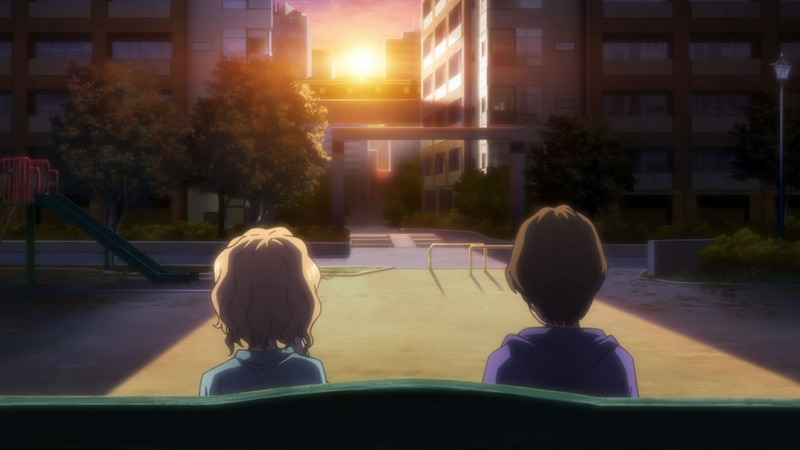 Continue Reading "Hanasaku Iroha – 24"
I didn’t know how P.A. Works would bring things together but when a brilliant studio hunkers down and starts gathering all the pieces they scattered back together, I can see a brilliant ending across the horizon. 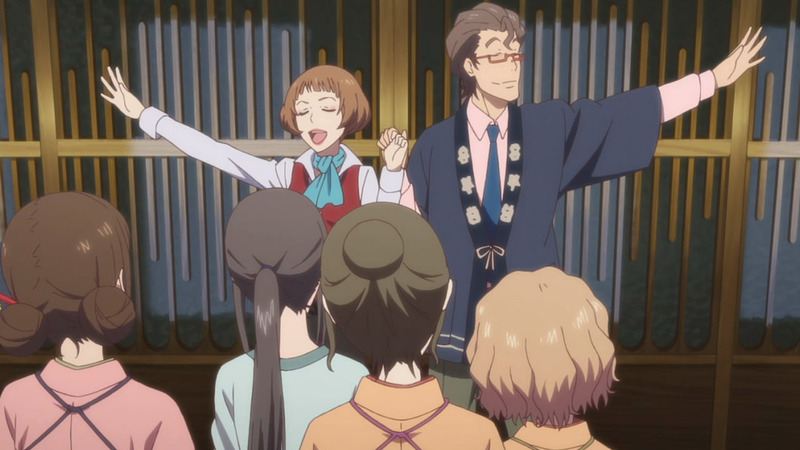 Continue Reading "Hanasaku Iroha – 23"
I should have figured that something was afoot when Takako was so energetic about her wedding preparations. Not only did I not consider how ambiguous last week’s ending could have been, but I think I missed a lot of different clues that were shown throughout this arc. Then again, hopefully you readers out there were just as caught up as me with Ohana and Minko’s constant fighting. Continue Reading "Hanasaku Iroha – 22"
After somewhat redeeming her character back during the movie arc, I was sorely disappointed with all the backtracking Takako’s done this week. After years of fooling around at Kissuiso trying to implement ridiculous ideas at the expense of the people who work there, I don’t know how she’d expect Okami to just let the past go. Continue Reading "Hanasaku Iroha – 21"
If only Minko could have just done what she did last episode. 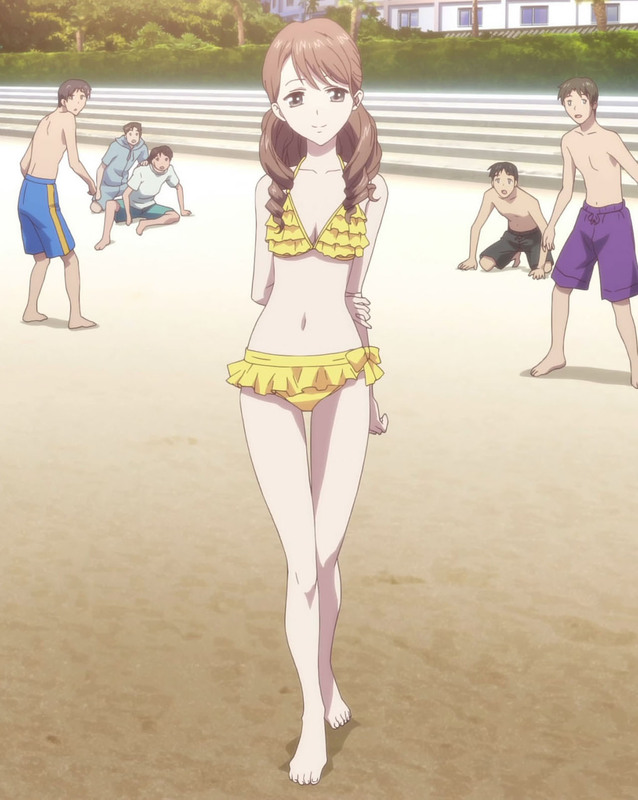 Continue Reading "Hanasaku Iroha – 20"
That’s what I’m talking about P.A. Works! I knew you had creative people working in the story department, and this is the type of hectic, crazy, multiple sided drama that I’ve been dying to see. You can say that I was extremely impressed with just how many different angles this Culture Festival is going to have. Continue Reading "Hanasaku Iroha – 19"
Nako finally gets an episode focused on her, but it was not even remotely close to what I was expecting. Continue Reading "Hanasaku Iroha – 18"
As much as I wish it didn’t happen, I can’t believe that I was right about something! With my predictions usually miles from the mark, it feels pretty amazing being right not only once, but twice! 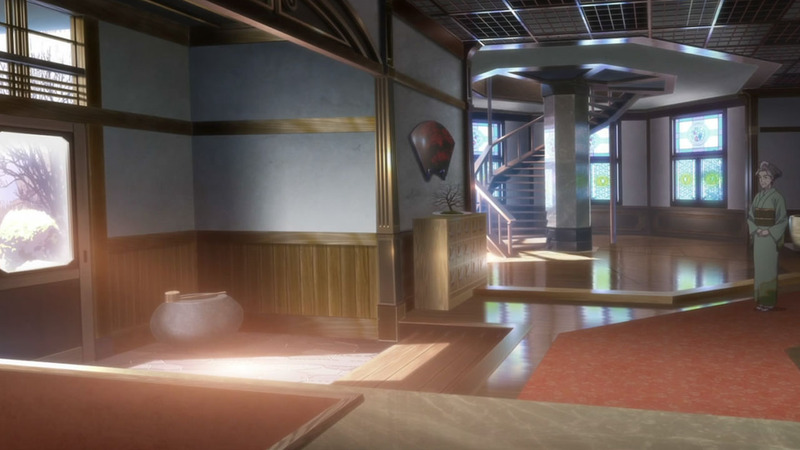 Continue Reading "Hanasaku Iroha – 17"
I can vaguely remember an episode that focused on Enishi, but that one pales in comparison with this week’s. While he may outspoken and looked down upon by others, it is quite surprising how invested he can get when something’s on the line. 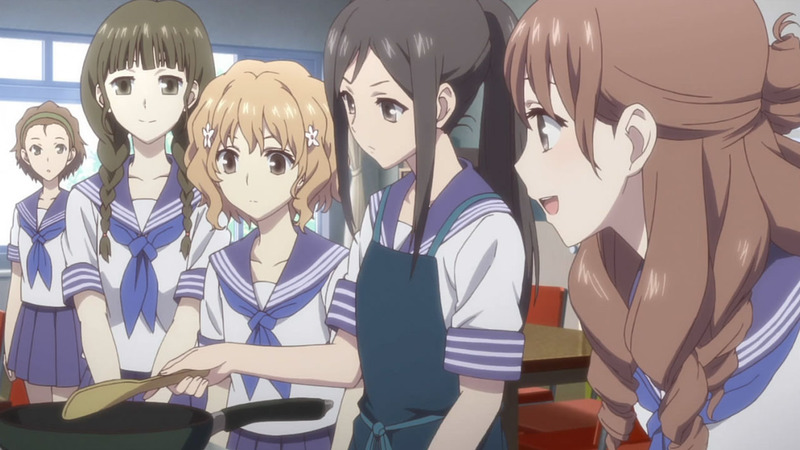 Continue Reading "Hanasaku Iroha – 16"
Continuing on from last week’s cliffhanger, I would like to say that I so called it when I thought of Ohana offering to work during her school trip vacation. Somehow, it wouldn’t have felt right if she didn’t step up and do something to remedy the situation thrown in front of her. Continue Reading "Hanasaku Iroha – 15"
With tons of relationship problems building back at home, it was pretty slick of P.A. Works to somehow utilize the infamous beach episode to transition away from Ohana and the love triangle she’s dealing with to giving Yuina the proper introduction that she really deserves. 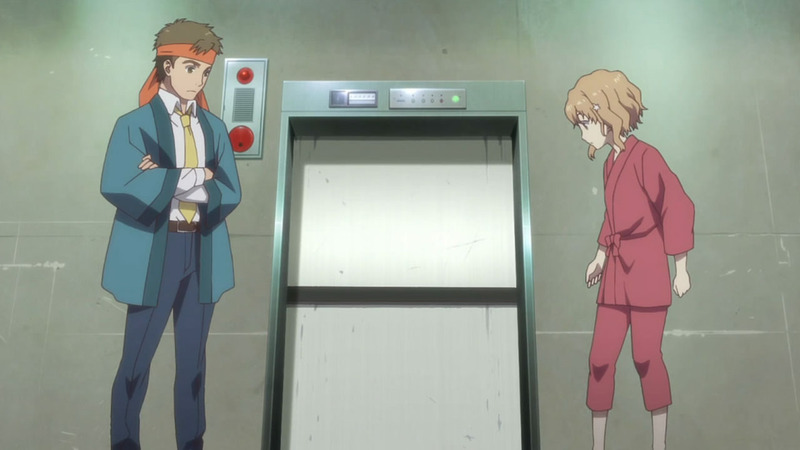 Continue Reading "Hanasaku Iroha – 14"
Continue Reading "Hanasaku Iroha – 13"
In an unexpected turn of events, the whole idea of a love triangle was destroyed single handedly with one episode. While I feel a little apprehensive about making such a bold statement, I’d have to say that things don’t feel like they’re going the way I thought they originally might have. At least, not for the next few episodes. Continue Reading "Hanasaku Iroha – 12"